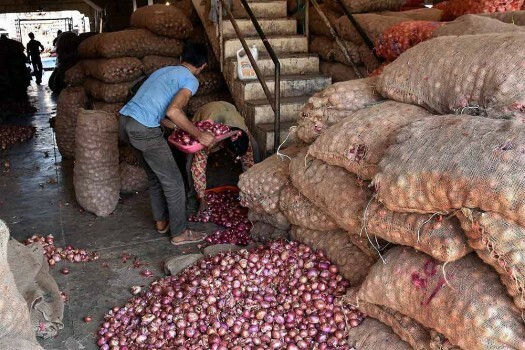 Heap of onion sacks at Azadpur Sabzi Mandi in New Delhi as the prices of the vegetable continue to soar. 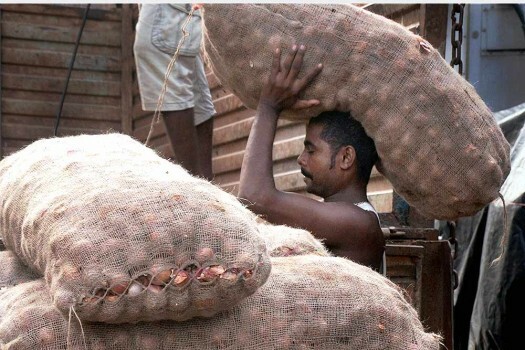 A labourer unloads onion sacks from a truck at a wholesale vegetable market in Kolkata. 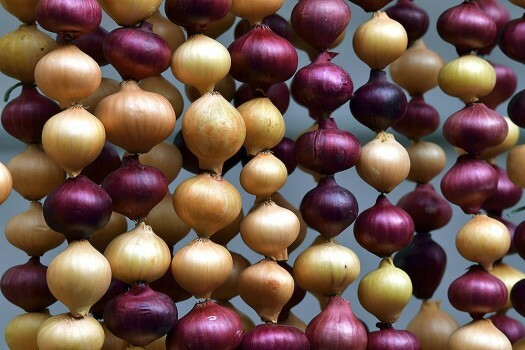 The price of onions has gone up due to shortage of the crop. 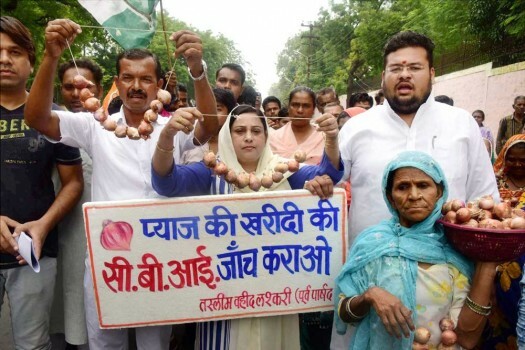 Congress party workers hold onion garlands during a protest to demand CBI probe in alleged onion purchasing scam in Bhopal. 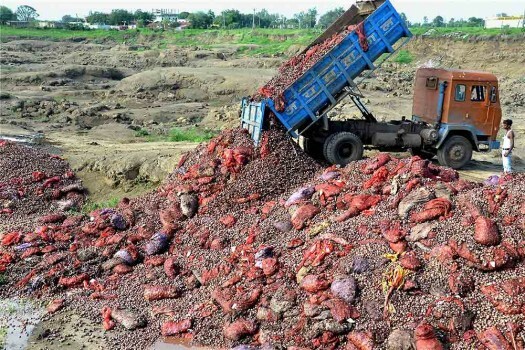 A dumper dumps rotten onions at a ditch on the outskirts of Bhopal. 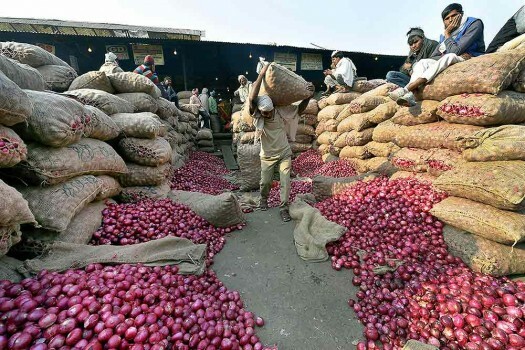 Unsold sacks of onion on the ground during a farmer srike at a wholesale vegetables and grains market in Bhopal. 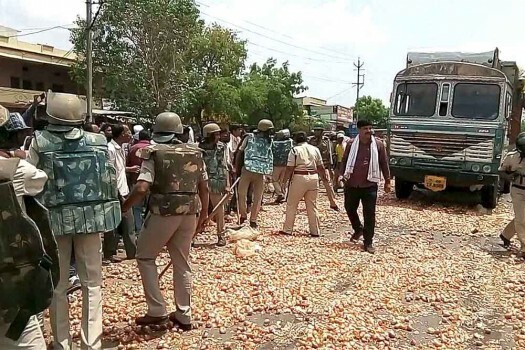 Farmers throwing onions and other vegetables on the road during their protest in Shajapur of Madhya Pradesh. 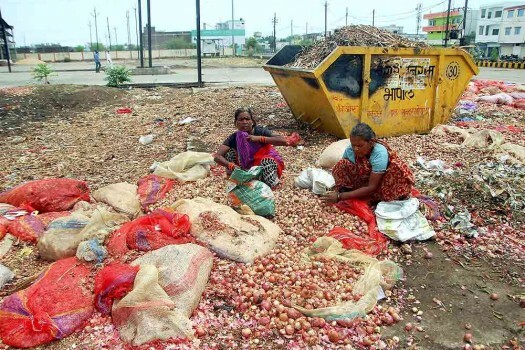 Women sorting out onions which were thrown on the roads by the agitating farmers in Bhopal. 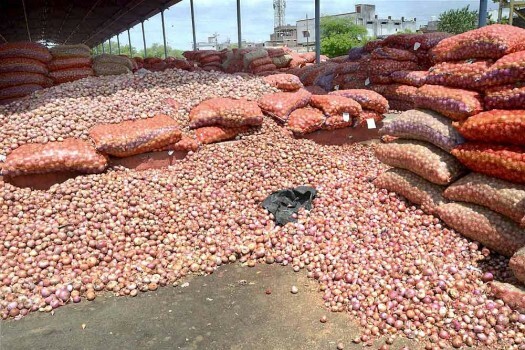 Labourers unload onion sacks at APMC Yard, in Surat. 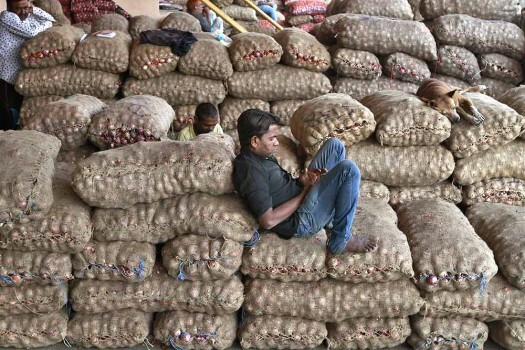 A laborer and a stray dog rest on sacks of onions at an Agriculture Produce Market Committee (APMC) market, in Ahmedabad. 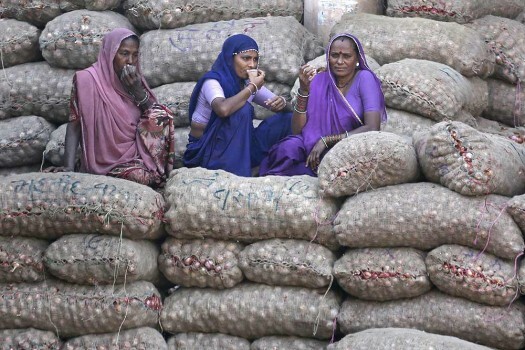 Women laborers sip tea sitting on sacks of onions at an Agriculture Produce Market Committee (APMC) market, in Ahmedabad. 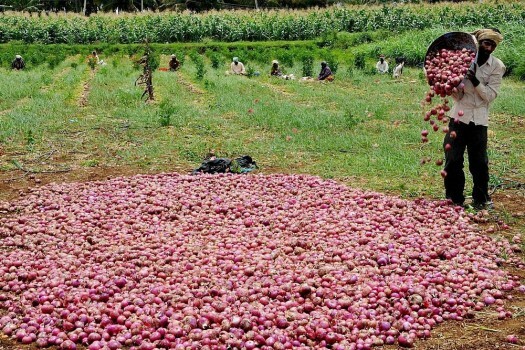 Farmers drying onions which they grew through drip irrigation at Lakya near Chikmagalur in Karnataka. 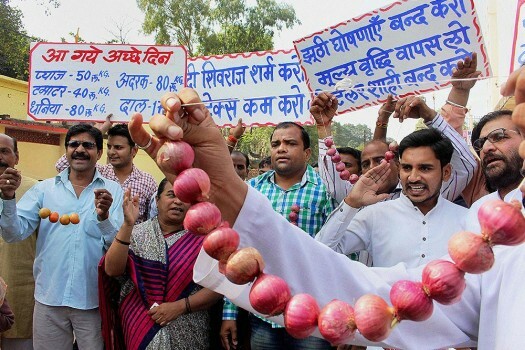 Congress activists staging a protest against the price hike of Onions, in Bhopal. 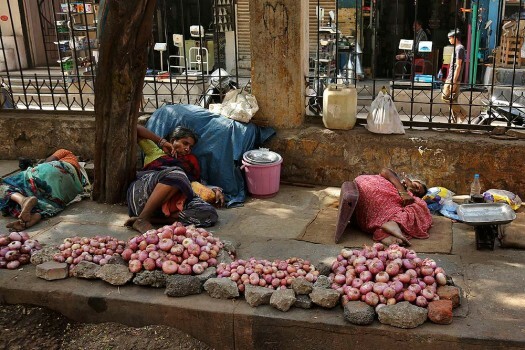 Vendors selling onions rest on a sidewalk under the shade of a tree on a hot summer day in Hyderabad. 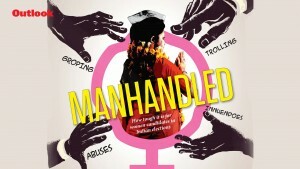 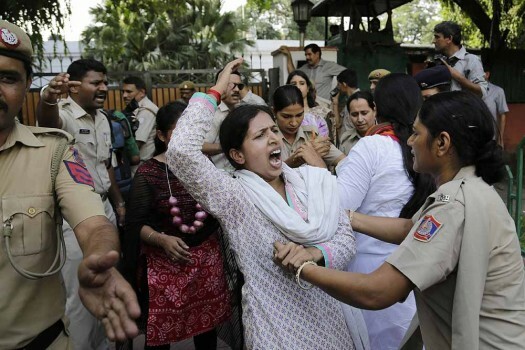 AP Photo/ Mahesh Kumar A. 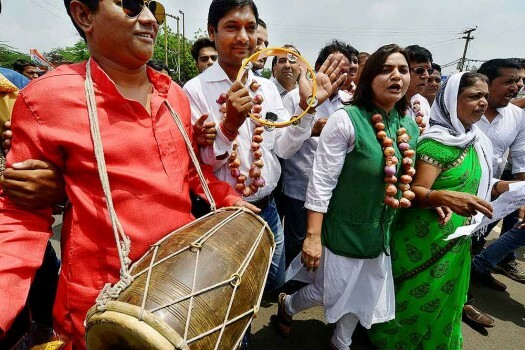 Activists of All Assam Students Union (AASU) wear vegetable garlands at a protest rally against the price hike in Guwahati. 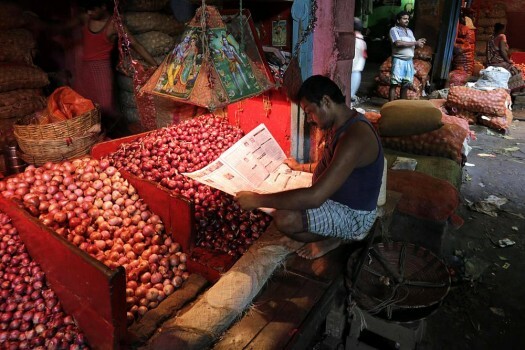 An onion vendor reads a newspaper at his stall at a wholesale vegetable market in Kolkata. 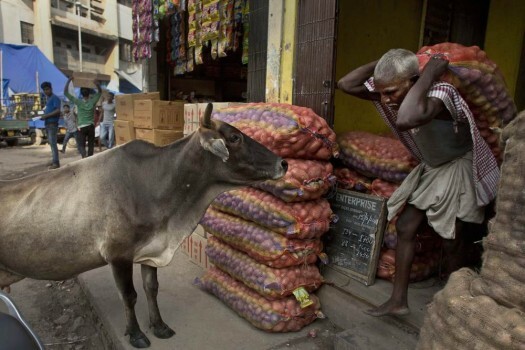 In October last year, it was 1.27 per cent.